While our main focus at Horse Tack Now is to offer top quality Leather Horse Track Halters. 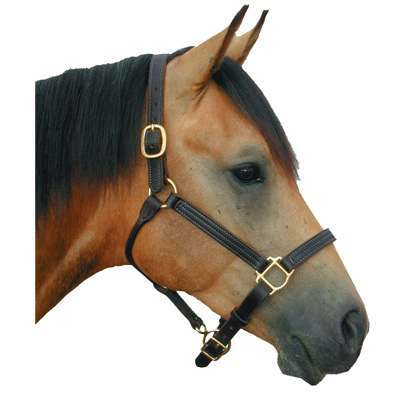 We proudly offer many quality horse tack items including halters and horse training equipment. This one inch leather halter features solid brass hardware. The great horse halter is complimented by a leather crown and solid brass buckles on either side. The track halter is finished with an adjustable chin strap and a rolled throat. Too provide stability to the leather it is triple stitched. For the best prices on horse halters buy online from Horse Tack Now.